First, you need to play the mood music that I've embedded above. It's the perfect backdrop for this book. 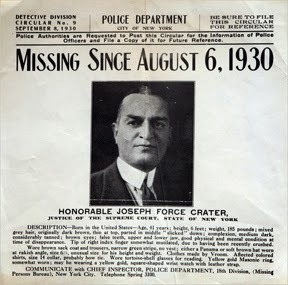 Justice Joseph Crater disappeared in 1930. 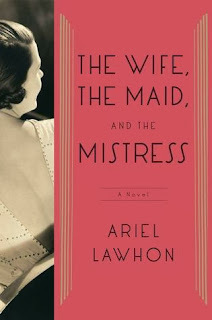 The Wife, The Maid, and The Mistress is a reimagining of what might have happened to him and to the three women in his life. And ohhh, it's a good one. The disappearance of Judge Crater was a HUGE deal in 1930. In our times, it would have caused a tabloid furor. As a fan of any sort of history I'm ashamed to say that I hadn't heard of this case. That, however, made this book a lot of fun for me. I had no preconceived notions or theories. Was Crater a victim of his times? Now-a-days we'd call him the worst sort of philanderer and crook. But, in the 1930's corruption was rampant, having a mistress (or two) was de riguer, and being involved with mobsters was the way politicians got things done. Of course the guy was going to come to a bad end. It's almost a miracle that any of the politicians of that decade made it out alive. You make this book sound really great. My mom and I have both been eyeing it and I just may squeeze it in for Jazz-Age January before the last link-ups go up next week. Hey! I should go link up to Jazz-Age January too :) It's not too late? I think you'd enjoy this one, Kelly. It's fun! The narrator for this audiobook has to be a Phillip Marlowe-esque narrator with a deep bass voice - don't you think? I mentioned you needed a glass of gin when reading it. Funny how we both had alcohol in mind as a reading accompaniment. I also wanted to mention something about smoking a cigar but I didn't want to be totally irresponsible, ha! I LOVE your music choice here (and the drink recipe hehe). I love the sound of the style of this book (and of your review of course! ), but I'm not sure if the content would appeal to me. Great review, I love the sound of this one although I've never heard of the case. Great review! I enjoyed your inclusion of mood music. This isn't one of my favorite periods or topics to read about (political corruption, adultery, etc.) but you make it sound intriguing and enticing nonetheless. I love reading about those topics and I don't know why?? Probably because it's quite exciting next to my life of stay at home mommery? ;) Thanks! Haha, I have this coming up at the library. It sounds like it will be a great read. Did you ever see that book that has drink recipes to drink alongside your books? I hope you dig it, Lindsey! I'll be waiting to hear what you think. I don't think I have seen that! Cool! I love the cover art on this one! And wow. 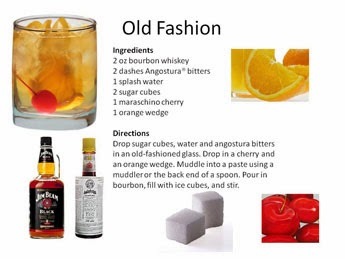 Can I just say that I've tried drinking an old fashion, several manhattans, and the like, and I really don't know how anyone does it. It's ALL alcohol. Anyway. This one seems to be a nice, juicy read. While I don't know if I'd wish this type of crowd on my own life, I definitely don't mind reading about it. What a wonderful review, and now I feel like I must put on some old music and splurge on this book. Thanks so much :D I hope you do both of those things! Oooooh, I'm really REALLY picky about my historical fiction, but this one sounds awesome. Never heard about this judge or his disappearance before, but what a great reinterpretation! You might dig this one, Kelly :) I think it's been quite the hit so far! I have this book waiting in my TBR list...I think your review helped it to jump up a bit towards the top! Fantastic :D I hope you like it, Melinda! This sounds amazing! Love the mood music, love the cocktail recipe, love it all! Thanks, Katie :D I'm kinda in love with the music myself! I hope you get to it, Melinda. I think you'll like it :D You're ever so welcome! I listened to Ann Kingman talk this book up on last week's Books on the Nightstand podcast and now you loved it as well! What a great post and I can't wait to dive into this little ditty. Cool :) I need to start listening to that podcast. I forget that such things even exist, lol. Your review definitely made me blow my wig ;) Definitely something I'd check out and read. LOL, great saying isn't it? ;) I hope you do! I've never heard of this case but I think I'm definitely going to be reading this book about it! I hope you do, Lisa. It's a good one! Outstanding review! I love your use of additional media! No way could I handle a manhattan- can I just have a lemondrop martini?